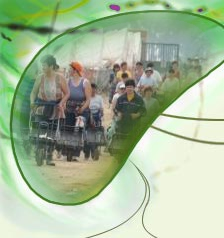 For almost 50 years, the European Social Dialogue Committee for Agriculture has regularly brought together employer and worker representatives from European Union Member States to discuss the social problems faced by workers in the agricultural sector and to develop, call for and implement joint solutions to these problems. The Committee represents over seven million workers on the trade union side and over one million businesses on the employer side in the European agricultural sector. The problems facing agricultural workers in Europe have changed significantly over the past 50 years. Some problems have been solved but new ones have emerged to take their place. In the 1960s and 1970s, the agricultural social partners focused on the structural change taking place in European agriculture. Some major successes were achieved, such as the introduction of roll bars for tractors, a measure which, more than any other, reduced the number of deaths and injuries in the sector and demonstrated the strength of the social partners. New challenges emerged in the 1980s thanks to a new understanding of nature and the increasing loss of rural roots in individual countries and across Europe as a whole. Buzzwords such as ‘butter mountain’ and ‘milk lake’ became common currency and Europe’s agricultural social partners were confronted with new tasks. The fall of the Berlin wall radically altered the face of Europe from the 1990s onwards, forcing Europe’s agricultural social partners to tackle new challenges. New member organisations from central and eastern European countries had to be integrated into the European Community system. At this point, structural change came up against realities that fell far short of requirements. Huge numbers of jobs were lost and the only way to create new jobs was to open up new paths. The dynamics of globalisation complicated the conditions for implementing viable solutions. Europe’s agricultural social partners will mark the Committee’s half-centenary against the backdrop of the euro and financial crisis and the upcoming reform of the Common Agricultural Policy (CAP). It is therefore a particularly good time to agree on future solutions and get to grips with the challenges ahead.